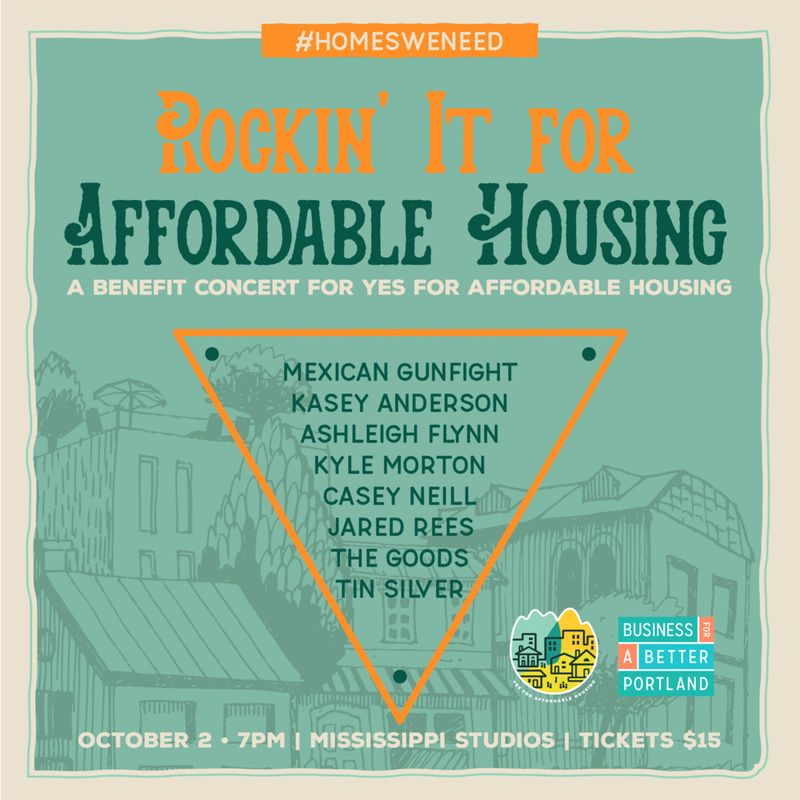 BBPDX member Mississippi Studios is hosting a benefit concert and you’re invited! Proceeds will benefit the Yes For Affordable Housing campaign, which is working to urge voters to vote YES on Measure 102 and Measure 26-199 this fall. EVENT DETAILS: The Portland music community is joining nearly 500 nonprofits, businesses and community leaders to support Measure 102 & Measure 26-199 this fall at this special benefit concert. Vote YES on Measure 102 & Measure 26-199 and support #HomesWeNeed this fall! Musical guests include Kyle Morton of Typhoon, Kasey Anderson, Casey Neill, Ashleigh Flynn, Tin Silver, Jared Mees, and Mexican Gunfight. Commissioner Chloe Eudaly will emcee. Doors at 6pm, show starts at 7pm.